The property management business is littered with landmines. They can involve tenants, owners, neighbors, service people, housing authorities or a combination of these. And they can range from a bad online review to an expensive lawsuit. But keep an eye on these seven common problems to keep your troubles to a minimum. Many problems result from misunderstandings regarding expectations. In general, property managers should do more to keep a line of communication open with tenants and owners, rather than getting in touch only when something goes wrong. Tenant and owner portals not only foster better communication, they also centralize it in one location (vs. a fog of phone calls, emails and sticky notes) and track conversations, so you’ve got a record of what’s transpired that can’t be questioned. The ability to improvise can make property managers into strong salespeople, but your lease agreements and tenant screening also need to be legally sound. Realtor.org says you should "draw up a lease with your attorney, and make sure it complies with laws while still meeting your needs." Then, be sure your leasing agents aren’t compromising any legal principles as they tweak lease language to close sales. Property managers must walk a thin line between being friendly and being too lenient. Those who aren’t firm enough with tenants suffer the consequences. Carefully written move in, move out agreements including details on deposits, are of course critical. But other areas in which “gentle discipline” pays include on-time rent payments, care of the property, pets, and noise and partying. It’s human nature to get a little too relaxed when rules aren’t firm. You can be friendly with your tenants, but you’re their landlord first. As a property manager, one of your primary responsibilities is to ensure that your tenants are safe at their properties. 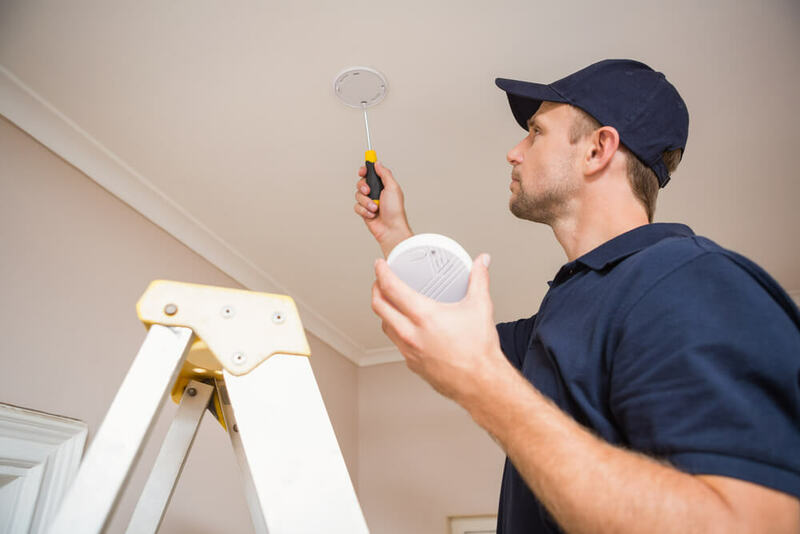 This means everything from working smoke alarms to well-maintained staircases. Set up a property maintenance schedule and work order management process, and you'll avoid serious maintenance mishaps that can lead to court. Never wing it when it comes to legal issues. This means not just things like giving tenants proper notice before entering their home, but also getting legal advice on issues as such as eviction processes and screening tenants. Make sure that all of your documents and processes fall within the law and you'll greatly reduce the risk of ending up in front of a judge. Many property managers have no “system” at all when it comes to maintenance and repairs, even though it’s one of their main responsibilities and time sinks. When a tenant reports a problem or an inspection turns something up, they simply call the latest “go-to” service vendor – sometimes, without even getting bids when a better price might be attained. Today’s property maintenance software establishes an easy, streamlined system for scheduling, assigning and tracking inspections, repairs, maintenance and the service people involved. And it keeps everyone – including tenants, owners and vendors – informed of status, so you don’t have to. Don't discount the value of the services you provide. If you're an exceptional property manager with a strong reputation you should be paid well for your work and should feel confident charging for things you do that are beyond the call of duty. Over time, owners know who the good managers are and are willing to pay full price to keep their headaches to a minimum. You want to be the known as the best property manager around, not the cheapest in a race to the bottom. More and more, it’s the smart use of software that distinguishes efficient, reliable property management companies that can demand healthy fees. Whether you’re talking about leasing, maintenance, communication, property management inspections or some other area of the business, there’s perhaps one more deadly sin to consider: doing things the old-fashioned way, when so many innovations are at your fingertips. Schedule a free online demo of Propertyware today!